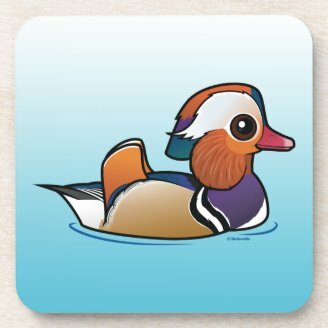 Today our Birdorable Bonanza: 2015 Advent Edition continues with a beautiful species of dabbling duck from eastern Asia: the Mandarin Duck. 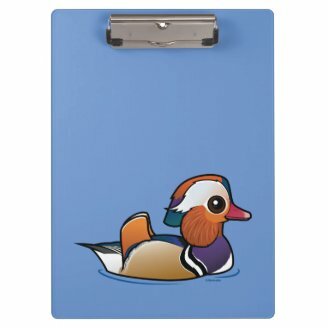 Male Mandarin Ducks, like our cute Birdorable cartoon version here, are strikingly beautiful, with a unique colorful plumage. The flanks are ruddy, with a contrasting purple breast outlined in black and white. The forehead is teal and the dark eyes stand out against a white crescent-shaped stripe. Two orange sail-like tufts appear at the back. 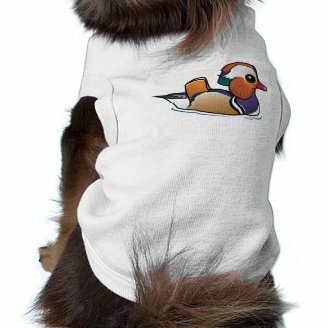 Mandarin Ducks are closely related to the Wood Duck of North America. 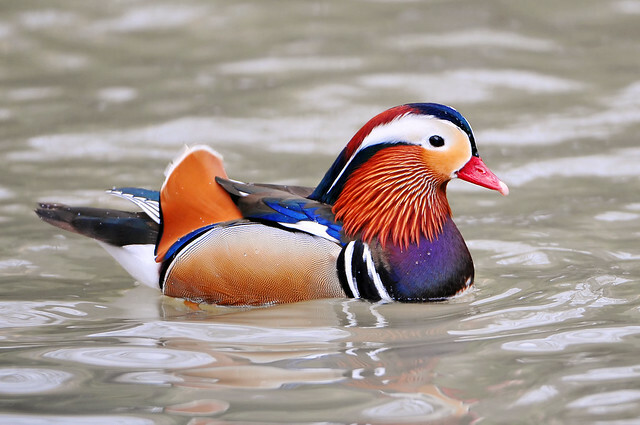 Mandarins nest in trees, often in dense woods, near fresh water. 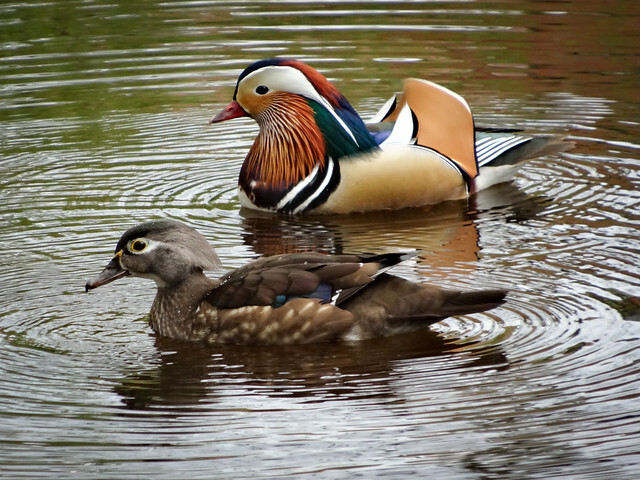 Because of their beauty, Mandarin Ducks are popular in waterfowl collections. 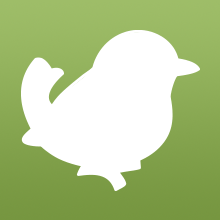 Escaped birds have established populations outside of their native range of eastern Asia. 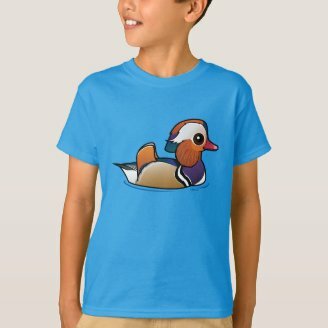 In Europe, there are large Mandarin Duck populations in Britain and Germany; in the United States you can find Mandarin Ducks living in the wild in parts of North Carolina and California. Tomorrow's bird is a great woodpecker that can be found in Europe and north Asia. Can you guess what it will be? 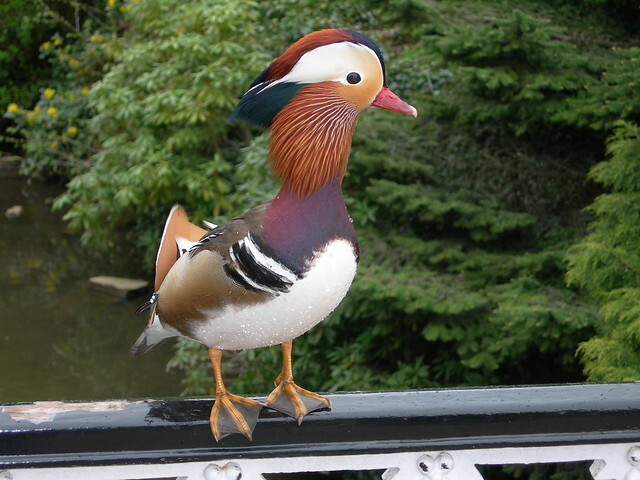 5 comments on "2015 Bonanza Bird #4: Mandarin Duck"
Maybe European Green Woodpecker (Picus viridis)? a woodpecker of some kind(i do not know)?